One more year, Marbella has been united to sport, either by the uncountable sport activities that are developed throughout the year in the municipality or by its wide range of sport. Moreover, it could be said that “sport” is one of the most important values of Marbella and San Pedro Alcantara. Good proof of this, the thousands of tourists who visit us to enjoy our golf courses, tennis schools, etc… And, most importantly, the countless local sport clubs made up of citizens and residents. 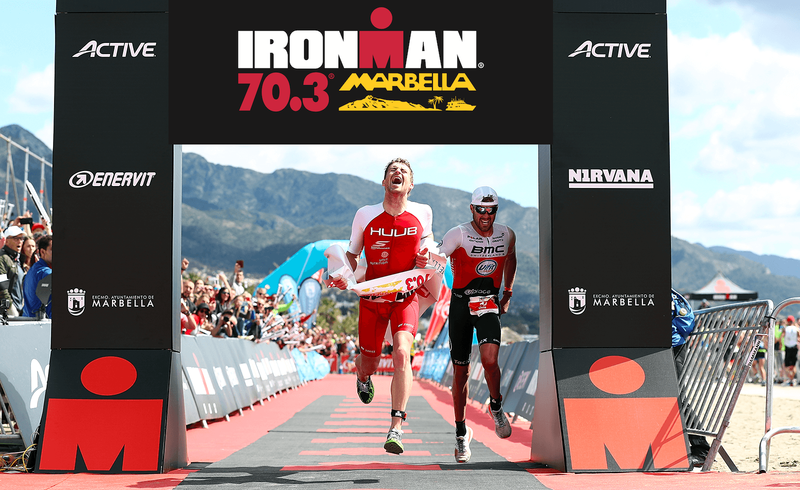 It is for all that, the organizing company of triathlons “Ironman” continues opting to Marbella for the development of the Ironman 70.3 on 27th April, 2019. Athletes will swim in the Mediterranean waters. After the transition, located in the legendary Avenida de las Naciones Unidas, they will cycle the 90 km of the bike course through memorable settings like Puerto de Ojén, ascending along the “caracolillos” road. They will cross different towns like Onda, Coín, and Cártama. Athletes will then ride back to Marbella to enjoy the last 21 km run by the seafront promenade, flanked by cheering spectators as they strive for the finish line – right on the sand of Puerto Banús. If you dare, you still have time to register.